Nick began working at Byrum & Fisk in 2016. He is the lead strategist for the firm’s energy and environmental clients. The breadth of his work ranges from coordinating communications for a diverse coalition of organizations, businesses and advocates, communications support for renewable energy siting, planning and executing media events and more. Nick’s portfolio also touches the education, labor and agriculture spaces. 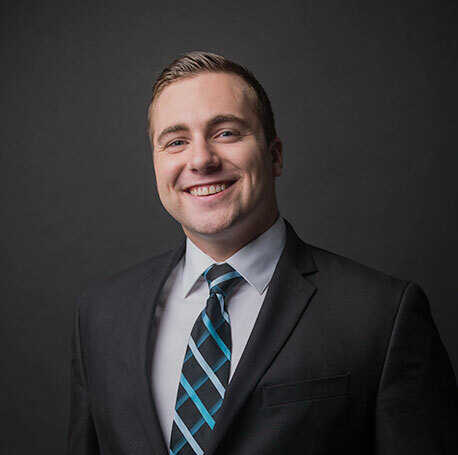 Prior to joining the Byrum & Fisk team, Nick worked in both the U.S. Senate and Michigan Senate, spending the summer of 2015 working on natural resources policy in U.S. Senator Debbie Stabenow’s Washington, DC office. Nick is an avid outdoorsman, and when he’s not writing press releases on breaking environmental issues or planning the rollout of the next big clean energy jobs report, Nick enjoys snow and water skiing, hiking and swimming in the beautiful waters of Lake Michigan. Nick Dodge is a graduate of James Madison College at Michigan State University. He holds degrees in Social Relations & Policy and Political Theory & Constitutional Democracy.